Welcome to this shiny stop of the YA Scavenger Hunt! New to the hunt? Check out the main YASH page (www.yash.rocks) for all the info. Directions: Below, you'll notice that I've hidden my favorite number. Collect the favorite numbers of all the authors on the Blue Team, and then add them up. I bet you’re here to see exclusive content and win fantabulous book prizes, am I right? Then let’s get started. 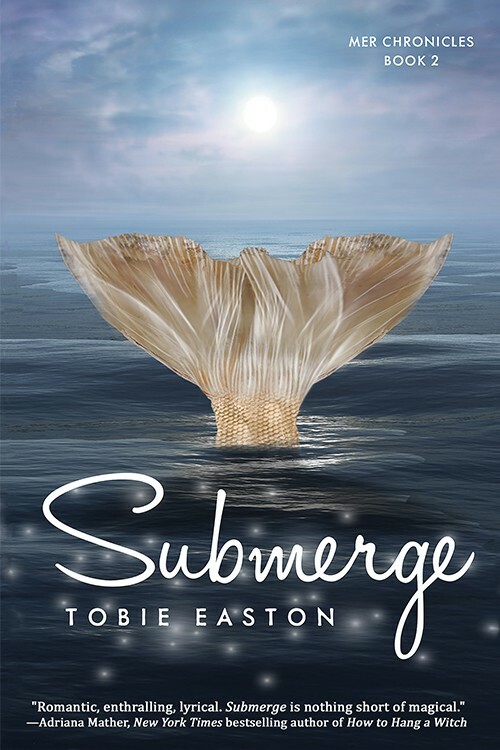 I’m your host, Tobie Easton, author of Emerge and Submerge (Books 1 and 2 in the Mer Chronicles) about Mermaids who live secretly on land. Lia Nautilus may be a Mermaid but she's never lived in the ocean. War has ravaged the seven seas ever since the infamous Little Mermaid unleashed a curse that stripped Mer of their immortality. Lia has grown up in a secret community of land-dwelling Mer hidden among Malibu's seaside mansions. Her biggest problems are surviving P.E. and keeping her feelings for Clay Ericson in check. Sure, he's gorgeous in that cocky, leather jacket sort of way and makes her feel like there's a school of fish swimming in her stomach, but getting involved with a human could put Lia's entire community at risk. So it's for the best that he's dating that new girl, right? That is, until Lia finds out she isn't the only one at school keeping a potentially deadly secret. And this new girl? Her eyes are dead set on Clay, who doesn't realize the danger he's in. If Lia hopes to save him, she'll have to get closer to Clay. 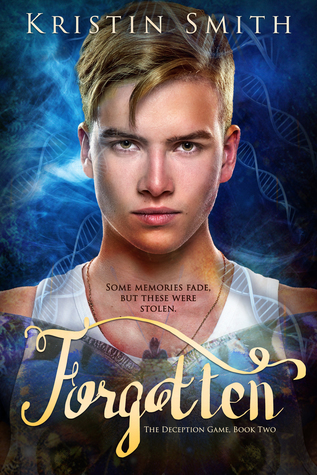 Lia's parents would totally flip if they found out she was falling for a human boy, but the more time she spends with him, the harder it is for her to deny her feelings. After making a horrible mistake, Lia will risk everything to stop Clay from falling in love with the wrong girl. Looking for exclusive Submerge content? I’ve hidden it somewhere along the hunt on a Blue Team page! Today, I’m SUPER excited to be hosting author Kristin Smith! 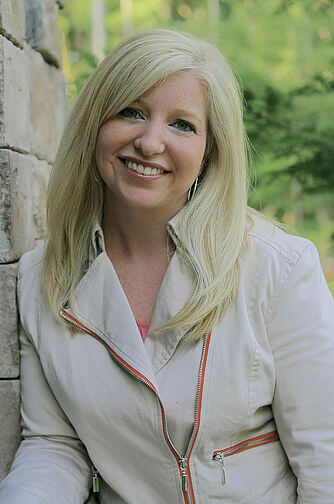 Kristin Smith is the best-selling author of the Deception Game series. When she’s not writing, you can find her dreaming about the beach, beating her boys at Just Dance, or belting out karaoke (from the comfort of her own home). She’s a Virginia girl at heart, but currently resides in the middle-of-nowhere North Carolina with her husband and sons. 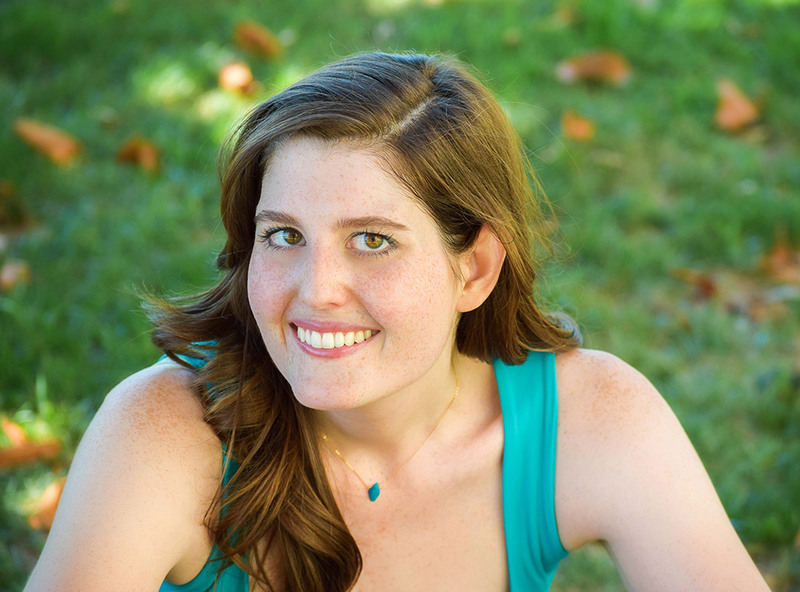 To read more about her obsession with young adult novels or her addiction to chocolate, you can visit her at www.kristinsmithbooks.com. And now here's Kristin's exclusive YASH content! ‍1. How many siblings do you have? Are you close or are you estranged? I have one sister who’s five. Emily and I are super close; I took care of her when our mom was abducted. But we can’t be together right now because I have to go to Rubex to find the bad guys. ‍2. If your boss asked you to cheat on your invoice and bill your client for extra hours, would you do it? Are we talking about my former boss, the Devil? Because he’s one scary dude. If the Devil is asking me to cheat on an invoice then I do it because I don’t want to lose my fingers. Or worse. ‍3. Do you exercise or are you a coach potato? Pfft. I wish I had time to be a couch potato! If riding my Harley counts as exercise, then I exercise all the time. ‍4. If you could go back in time for one day, where would you go? To the day before my dad died. I would tell him I love him and try to stop it. Somehow. ‍5. You can cure one disease. Which one would you cure? Definitely lupus. My mom’s been sick for a while now, and I just want to see her smile again. ‍6. What is your greatest fear? That I won’t be able to save the ones I love. ‍7. Do you like to cook? Do you use recipes or make up your own recipes? Does making chocolate oatmeal count? Emily loves it and always begs me to make it. But as far as real cooking goes… Nah. I’d rather eat Meat Crap Delite than cook something for myself. ‍8. Who’s your best friend? ‍ Well, this is an easy one. It’s Chaz. He’s super smart, funny, and the best hacker I know. Plus, he’s a non-GM (not genetically modified) like me. I’d be lost without him. ‍ Don’t get me started on that one. Too many regrets. Way too many. ‍10. If a Boy Scout comes to your door selling popcorn, do you hide in the kitchen or buy popcorn? What the hell is a Boy Scout? Are they part of a government program? Are they government spies? If that’s the case, I hide and call the other Fringe members for backup. Tobie here…the Deception Game series sounds so good that I bet I could read it 22 times in a row! And don't forget to enter the contest for a chance to win a ton of books! 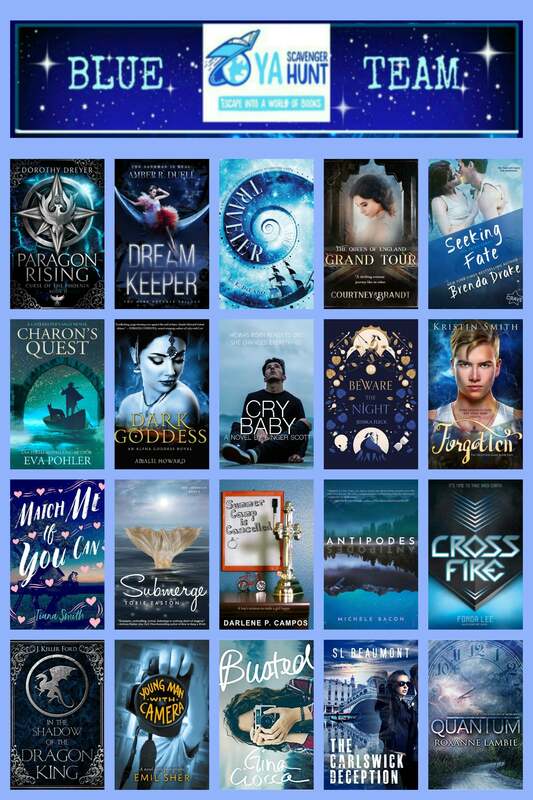 To enter, you need to find my favorite number hiding in this post, then add up the favorite numbers of all the authors on the Blue Team and you'll have the secret code to enter for the grand prize! But GUESS WHAT?? I’m also giving away a prize right here! 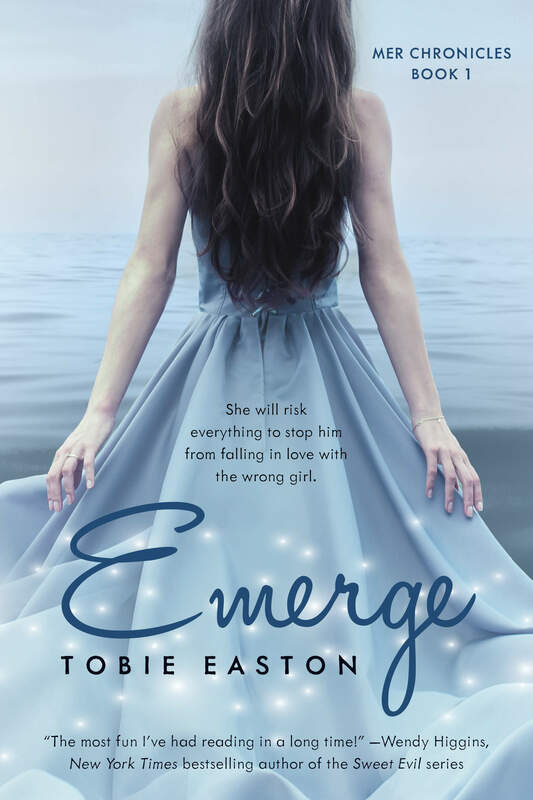 Win a signed copy of Emerge to read this fall! Next up on the Blue Team is Roxanne Lambie. ©2018 Tobie Easton All rights reserved.